Threewit-Cooper is currently stocking the following products: #1 Casting plaster, #1 Moulding plaster, #1 Pottery plaster, Cerami-cal, Drystone ultimate, Duracal, FGR Hydrostone, Hydrostone, Impression dental plaster, Lab dental plaster, Regular dental plaster, Ultra cal 30, and White Hydrocal. SPEC MIX® is your national source for high quality; factory produced cement-based products that are preblended for the construction industry. With more than 55 manufacturers located in major markets across the U.S. and Canada, SPEC MIX producers utilize computerized batching equipment and the finest materials to ensure total quality control throughout your project. As well, nearly every project we supply will use raw materials that are sourced within 500 miles of project site making SPEC MIX products an excellent choice for LEED certification. Basalite is one of the top ten largest suppliers of concrete products in the United States. Basalite began its core business with Structural Block, otherwise known as CMU (Concrete Masonry Units). Basalite has the materials to build sound walls, private and commercial buildings; fences for residential areas, gated communities, or a backyard privacy fence. If you are looking for a Segmental Retaining Wall System to shore up a large commercial project or retain a sloping backyard hillside, Basalite has what you need in many sizes, shapes and architectural treatments. Why not pair our retaining wall block with one of Basalites many choices and shapes of our Interlocking Paving Stones? By joining these two product lines, you will make your project a showcase. The QUIKRETE® Companies are the largest manufacturers of packaged concrete in the United States and an innovative leader in the commercial building and home improvement industries. With more than 94 manufacturing facilities in the United States, Canada, Puerto Rico and Central & South America, The QUIKRETE® Companies have unsurpassed product distribution and depth. The QUIKRETE® Technical Center ensures that professionals and consumers alike are provided with the most innovative and highest quality products available on the market. Our only business is concrete color. Solomon Colors, Inc. has been an industry leader in colored concrete since 1927 as a worldwide supplier of concrete color, concrete colors dispensing systems and concrete coloring products. Solomon Colors, Inc. offers a full line of decorative concrete solutions with dry and liquid concrete pigment for the ready mix, concrete block and masonry industries through a global network of distributors and two main production facilities in the U.S. Spec Solomon Colors with complete confidence, no matter the size of your colored concrete project. All our concrete products are backed by the quality and dependability of the world’s foremost manufacturer of concrete coloring – Solomon Colors. We have a complete concrete color matching laboratory, on-call support and a single-minded drive to make all your decorative concrete projects a success. Mortar Net® USA, Ltd.’s mission is to continuously improve the performance of masonry structures through the development and distribution of innovative products designed to manage and eliminate moisture in masonry walls. Grace provides reliable, value-added products and services to thousands of customers in a wide range of industries. Grace's management team has nearly 200 years of collective business experience from a variety of industries. We understand our responsibility to the communities where we live and work, and volunteer through Grace Community Works. Through our Environment, Health and Safety activities, we have a collective goal to reduce our impact to the environment. From the 19th to the 21st Century Grace has been a member of the business world since 1854 and has grown from a single location to offices in nearly 40 countries. 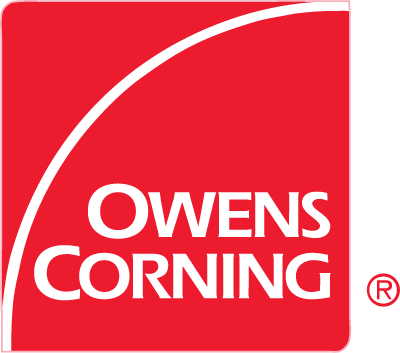 Pittsburgh Corning Corporation, an equity affiliate of PPG Industries, Inc. and Corning, Inc., is a leader in innovative glass technology for construction materials. Our commitment to excellence began as early as 1937 when we developed our very first product. Over seventy years later, Pittsburgh Corning is now a world leader in innovative architectural glass block systems design. Providing glass block products and systems for commercial, institutional, government and residential building applications. Protecto Wrap Company has been manufacturing waterproofing membranes since 1952 and has built a sound reputation for producing some of the highest quality waterproofing systems available. Our products meet or exceed the design requirements and specifications for a variety of applications. Protecto Wrap offers design consultation and field technical support for all product lines, which include: residential weather barriers, flooring underlayments and commercial building envelope solutions." Hohmann and Barnard, Inc. provides quality and innovative products that architects, engineers and contractors have come to rely on since 1933. In this website you will find detailed product descriptions and information, usage details, submittal sheets, CAD drawings, material conformances, MSDS sheets, and more. Hohmann & Barnard offers a diverse selection of high quality construction products for the building envelope, many of which qualify as sustainable building materials due to recycled content and help achieve LEED certification. Built more than 100 years ago, Superior Clay's plant has been continuously operating ever since. Located just a mile up the Stillwater Creek from where it joins the Tuscarawas River, our home has long been known for a wide variety of high quality products made from local clays. 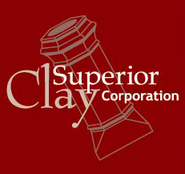 Throughout more than a century of dramatic change, the craftsman at Superior Clay have dedicated themselves to the pursuit of a single passion - create the best possible clay products while providing best-in-class service and support. From the most ornate architectural terra cotta reproductions, to elegantly simple chimney pots, each piece we produce is enhanced by the caring attitude of our craftsmen - many of whom have been in the business for three or four generations.